A nice pinotage (Don’t know this grape? See more below!) from the Swartland region of South Africa, a valley approximately 50km north of Cape Town. Color: bright ruby. Nose: ripe red fruit. In the mouth, fruity and forward pino: dominated by raspberry and red plum, tight tannins with gentle acidity and a decent finish with oak and sandstone rounds out the palate. Light and easy-going, a pleasant wine that paired nicely with both salmon and pasta in a tomato sauce. Sold with an easy-access screwtop cap, I found this locally at $11/bottle, seen online as low as $8/bottle. A nice, flexible bottle to have on hand for lighter fare, a housewarming gift, tailgating, or a picnic. For more information on Riebeek, check out the Riebeek Cellars website. Pinotage, if you aren’t aware, is a grape varietal hybrid that was cross-bred between Pinot Noir and Cinsault ( aka Hermitage, hence the term ‘pinotage’) grapes. Pinotage is known for tropical fruit flavors, which historically include banana, a flavor and scent I’ve never experienced in a wine. The pinotage grape breed was created in South Africa and is nearly exclusive there, gaining popularity in the late 1990’s. To me, it compares well with both Pinot Noir and Syrah- fruity, forward, youthful, with a touch of spice, and worth knowing and trying! For more information on pinotage, here’s a good description from Wine Access. Italian & Green Wine Resources! My friend Michael Horne writes an Italian wine blog. He’s a talented writer with good sommelier sense! I love his articles on The Best Regional Wines of Northern Italy and What are ‘GREEN’ wines, just as a start! I think you’ll like his work too, hence the hit. Oh, for my buddy DVT, here’s a treat for you from Michael: 51 Top Italian Wines for Under $20. à votre santé….or, alla vostra salute! How did your Thanksgiving fare? It’s the biggest meal of the year in the USA. We gather with friends, family, relatives, co-workers, neighbors, and celebrate the bountiful harvest of life… be it celebrating a good year, or simply our strength in spirit, survival and togetherness. How do you feel after Thanksgiving Dinner? The NY Times has a great article on aging and the effects of wine. Sometimes we’re shopping for the next treat in the cellar. Food & Wine has 150 Wines for $15 and under. YUM! And if that’s too much reading, here’s the best under $15 just for the white wine lovers. Three of these are on my list. Do you know which three? Here’s hoping you UnCorked something delicious and shared it with friends and family. I know I did! Here’s part 2, a follow-up response for those who have been privately asking me how Susanna responded to my blog post about her quest for the perfect, under $20, rich & creamy Chardonnay! Who knew that I’d get several emails and private posts discussing this quest for a great chardonnay, many of whom had tried several on my list but loved seeing the other suggestions. It got solid responses in unusual forms, so in respect to those who reached out, here is the rest of the story. I love that Sus is witty and strong. She stands her ground on price and demands great flavor in that range- more power to her! And I’m also intrigued by her list, so I had a long look at her wine suggestions. For your ease and enjoyment, here are links to those wines she lists. You can click on the name and the link will open a new window with the destination. The important thing to take away from this series of blog posts in my opinion, is that all that matters is that you find what wines you love, and enjoy them. The journey is a path of wonderment, and we grow and learn more every day. Finding your favorite table wine can sometimes be a chore. My high school chum Susanna is not only a wine lover, she is also a specific chardonnay snob! I’m teasing, she simply prefers chardonnays that are buttery and oaky. But, she is constantly in search of “the perfect” every day chardonnay – which for her is a deliciously rich & buttery chardonnay featuring lots of oak, at under $20 per bottle. 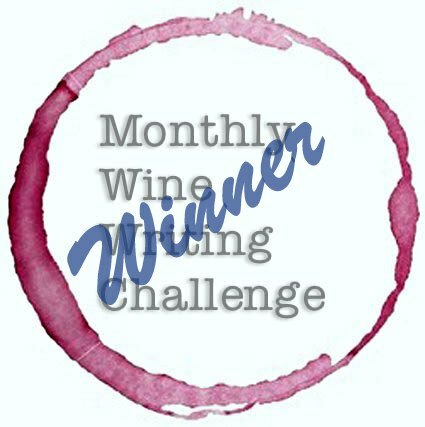 Susanna recently sent me a note reminding me of her quest, so this blog post is a series of chardonnays for her to try in her price range. (I hope she’ll comment on what she tries and how she likes them!) It’s important to remember that the massive oak of Californian whites has receded significantly over the last ten years , so this request is not as easy as one might expect. What follows are some suggested chardonnays, mostly on the rich & creamy side, for all my readers (especially Susanna ) to try! Chateau St. Jean, Alexander Valley, Sonoma 2010 –pineapple, lemon, melon, with a creamy finish. $14/bottle. Kendall Jackson Chardonnay Vintner’s Reserve 2010. If you haven’t tasted America’s #1 selling chardonnay, you should. It’s entirely fermented in 100% oak, and at $14/bottle is a bargain compared to many popular California wines. The “classic” oaked chardonnay in the USA. Also from Kendall Jackson is the Chardonnay Grand Reserve 2010. Robert Parker has been scoring this rich & creamy Chardonnay consistently in the 90-91 range for the last decade. 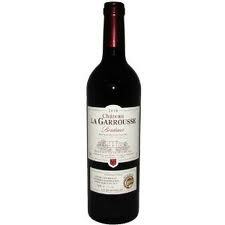 At $19.99, it’s the top of the price range here, but in general, a great price on a delicious, luscious wine. Glen Ellen Chardonnay 2010. A buttery Sonoma wine at $6/bottle? You have to try it! La Crema Chardonnay, Sonoma Coast, from $11/bottle. Top rated butterscotchy chardonnay, might be too crisp but delicious and worth tasting! Columbia Crest Grand Estates 2010, Columbia Valley, Washington. Received an 89 from Wine Spectator, known for a creamy, buttery & refined finish, at $14/bottle. Cupcake Vineyards Chardonnay, 2011, Central California –considered one of the biggest, richest white wines on the market, decadent amounts of butter finishing in oak at $12-14/bottle. Cambria Katherines Vineyard Chardonnay 2010, Santa Maria Valley, CA $18/bottle, big, rich, creamy with good acidity and a minerality on the finish that leaves your mouth wanting more! Francis Ford Coppola Director’s Cut, Russian River Valley 2010– noted to be creamy and oaky but not ‘weighted down’ by either. Perhaps a best of both world’s at 19.99/bottle. Louis Jadot Puilly-Fuisse (2010) I’m a French wine snob, a little peeved that she didn’t try my decandent bargain Montrachet, even if it’s out of her price range. But in spite of that, I want her to look for a brilliant chardonnay, and this is one, with lots of melon and minerals and gentle amounts of oak. What can it hurt @ $19/bottle? Alamos Chardonnay 2011, consistently good, notes of butterscotch and oak. Might be too smooth and fruity as opposed to rich and creamy for Susanna, but it might be a good choice to know! 12/bottle. Jacob’s Creek Reserve Chardonnay 2010, $14/bottle. Great fan reviews online, worth checking out for ‘best value’. What’s your favorite Chardonnay? What suggestions do YOU have for Susanna? Please share your thoughts, comments, and experiences! A purple color with garnet edges in the glass and nose of red ripe fruit. On the palate this wine features raspberry and plum with hints of vanilla, oak, and a touch of smoke. I tasted this with a strong cheese, then noticed it went very well with chocolate that brought out nice mocha notes. Light for a cab with an easy finish and gentle tannins, this was delicious and my favorite of the three wines. I’d like to taste other offerings from this winemaker! 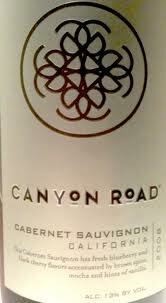 Visit Canyon Road Winery for more information. This wine has a ruby color and a spicy nose of red fruit and dried wildflowers. In the mouth it features red currants, powerful spices, notes of cigar box, and aged wood on the finish. The spice in this wine is dominant, and as such it would ideally pair with a strongly-flavored complement. The blend is 70% grenache, 15% syrah, and 15% cabernet sauvignon from grapes grown in Carinena, Spain. An interesting vineyard to keep an eye on. Esteban Martin‘s website features much more on their winery. Pale garnet color, with raspberry & violet and some gravel on the nose. On first taste I was overpowered by sweet red fruit, followed by loads of acidity and some bitterness on the back palate I didn’t care for. My immediate reaction: not enough tannin, this wine is young and requires time to develop. Fortunately I decided to let this take some air. After an hour, the bitterness was gone and I felt the wine was decidedly different and greatly improved. The next day, I enjoyed this wine with a salad and pizza and the elements I’d been concerned with had entirely disappeared. With a little age, this has great potential.